In recent years, because of the ban on smoking in enclosed public places, the practice of snuff-taking is once again gaining popularity among men as well as women. It originated in America but came into common usage in Europe, certainly by the 17th century. As smoking in coal mines was prohibited, it was frequently used by miners during their shift, although it is unlikely that they used the exotic boxes that were favoured by the “gentry” in earlier time made from materials like tortoise shell and mother of pearl. 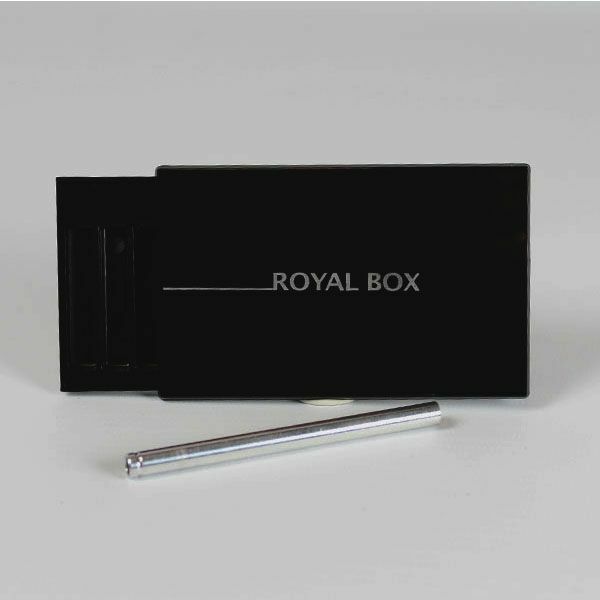 A variety of snuff boxes are available today and one which is a very practical accessory for both men and women is the Royal Box Snuff Kit which is neat and compact, about the size of a credit card and will fit easily in your pocket or handbag. All you have to do is to simply slide the top to one side to open your box and reveal the snuff compartments. These are divided into neat long indentations where you can add your snuff, all one kind or choices of different ones if you wish. Made for high quality acrylic, it also comes with a neat steel snuff tube, which is concealed on the underneath of the box when not in use, no spilling of your precious product and a guaranteed hit every time. The Royal Snuff Box is a great little accessory for the upmarket snuff consumer.